Talmadge Mooseman, hey, welcome to the Forum. It's an interesting place to be for sure I've always looked at 'Patty' this way: Small separated details can be argued back and forth forever. 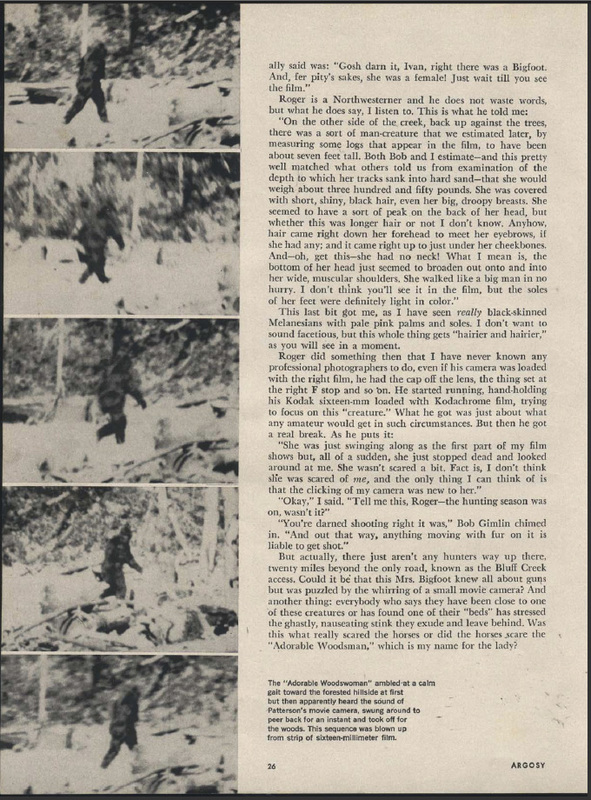 There are pages and pages of discussion in the Patterson Gimlin Film section. Much if not all of it stems from cherry-picking one detail and saying it proves a hoax. But when all of those debated details are combined into what is walking in the PGF the hoax thing falls apart. It's because ALL of those cherry-picked details had to have been engineered to work as a whole. There is facial movement that needs to be accounted for, toe flex, and yes, muscle contours that shift, and many other things that can be questioned separately. After rolling it altogether into the whole picture though? 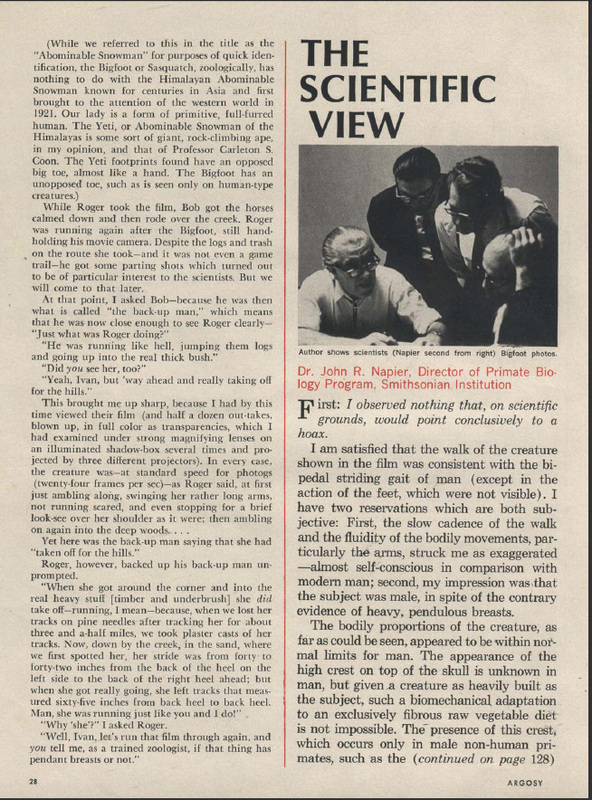 THAT is where the impossibility of fashioning such a suit AND then making it operate the way it does with the body ratios and other factors added in to include the materials available in the day (1967).........and one realizes that, man, as impossible as it sounds, that is a real creature on that film. Thanks for the welcome. I appreciate you taking this in the spirit intended. I am in a Bigfoot organization where no one I know even slightly questions P-G. I speak rather quietly of it for fear of becoming persona non grata, or at worst, getting kicked out. 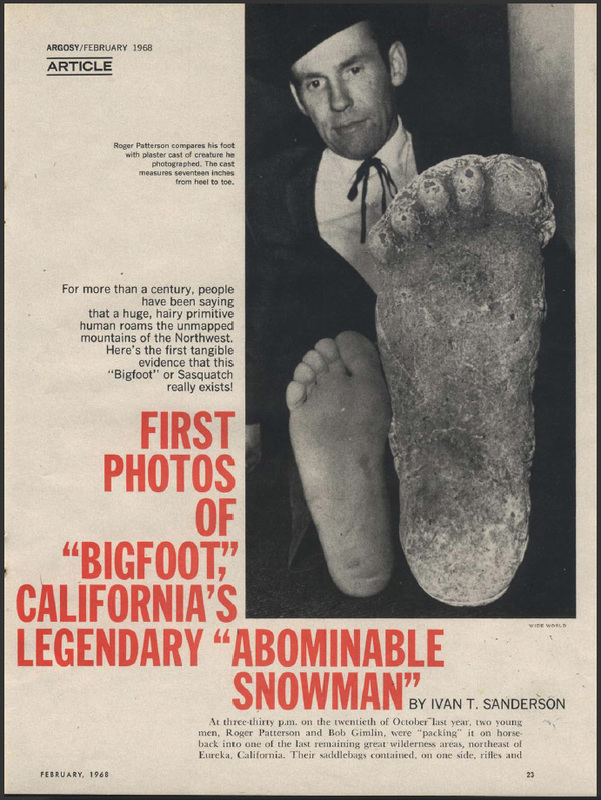 And keep in mind I am certain Bigfoot exists, it's just the P-G film I am uncertain about. Maybe some time on this forum will give me closure. 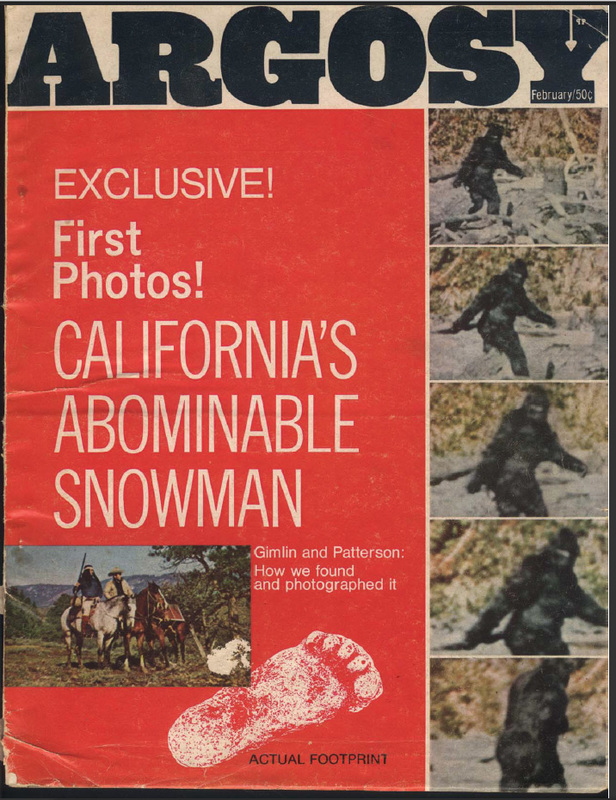 I do believe there is more compelling, though less clear Bigfoot footage out there than P-G. I felt Greg Long wrote a rather compelling book. I did not like that it was a hit piece on Patterson, but I think he was accurate that he was a con man. He also convinced me that Patterson was a very talented artist with a great eye for detail. What Long did not do was much to debunk the film itself. As you said, a detail here ... a detail there. As for Phillip Morris, there is a huge contradiction in that Bob Heronymous said the costume was made out of horse hide, but Morris said it was made out of his fabric. Long glossed over that, but I'll give him credit for not overlooking it completely. Many squatchers have met Bob Gimlin and they swear he is an honest and believable guy, and do not want to believe he is lying. I try to avoid that issue because there is a possibility that he was not involved, but Patterson was. I really should log the Pros and Cons of the details and see how they compare. Thanks. You're quite welcome, TM. And you are very wise to question all aspects of the PGF case. And yes, Greg Long wrote a pretty good book but he, as you said, was careful to steer fairly clear of a lot of the deeper research that has been done on the film. Most of the seasoned members here have had your questions and concerns held at one time or another. 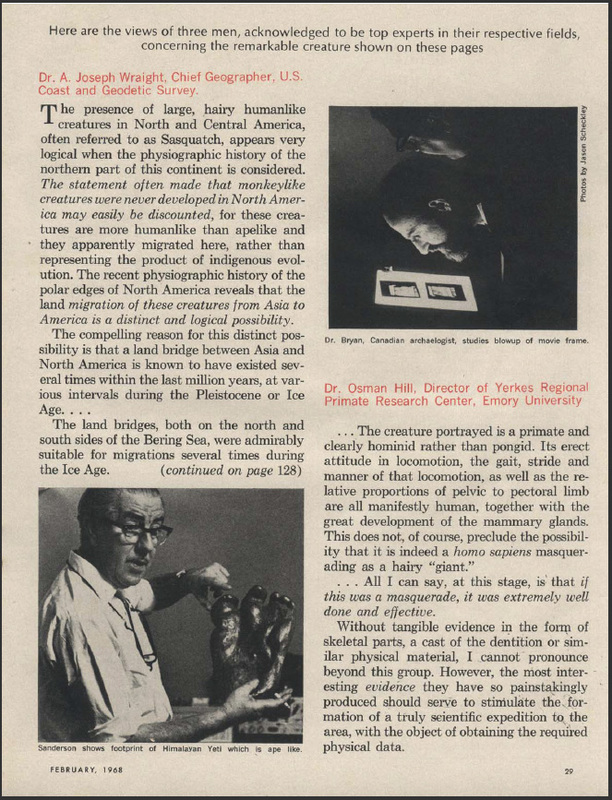 And there is a member here who thinks as you do- that being not convinced about Payyt but thinking there are better sources for claiming Sasquatch is real. So you are in good company I was about 51% a proponent and 49% opposed (only way to quantify it) until the issue of the shoulder span ratio to height issue. I've pretty much stopped debating the rest of it as a result. You'll find a pretty tough crowd here when it comes to BF evidence because if there's one thing they want it the 100% no-doubt conclusion for a Sasquatch reality. 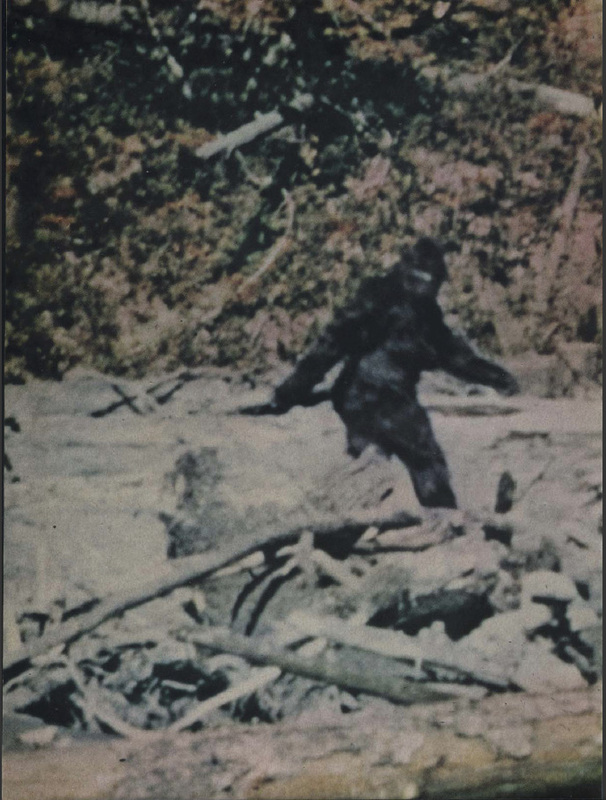 But it's a good intelligent group and if you take some time in the 'Patterson Gimlin Film section you will have to agree these folks have worked and battled hard turning over every rock that a PGF hoax could hide under. And I have to hand it to them, they deal with skeptics cherry picking details day in and day out and so far everything has held up in favor of Patty being real. Everyone here will absolutely appreciate and respect your position as do I so enjoy your research here and they were pretty kind in regard to my fence-sitting and left it to me to settle the issue for myself. Thank you for your candidness and very cool engagement here, have fun, and I'll see you around the Forum. Especially after your interim for limited posting has expired. I promise not to take advantage of that by submitting a hundred posts to your one In closing, I will say that deconstructing Patty is an education in the construction of Patty. We learn a lot when we take her apart but invariably what we learn is that when we put her back together that she is greater than the sum of her parts. It can be quite a shock when that realization hits home. It sure was for me. 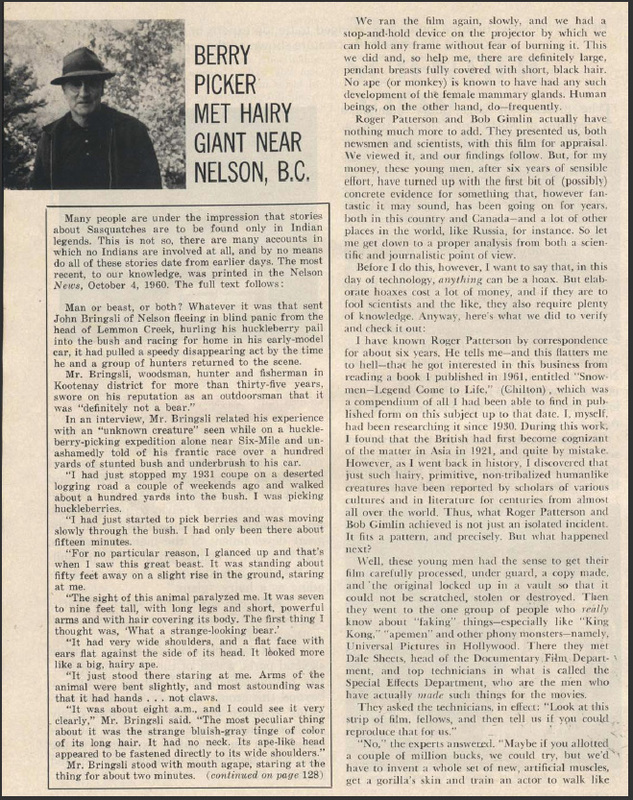 Oh yes, I forgot to mention, Bob Hieronimus changed his story on the construction of the suit three times and erred on details regarding the Bluff Creek film site. All in such a way that it's hard to think anyone familiar with that could ever believe he was even there. True. Lots of people have met Bob at conferences etc. I’m one of them and have kept in touch with him via phone & letters. I’ve gotten to know Bob pretty well. The man has a hard time saying no; he is a people pleaser but when push comes to shove he will say what’s right. Likewise, I’ve always said if there was a hoax he wasn’t in on it. Sometimes, it's hard for me to post in here if the topic has been much debated. 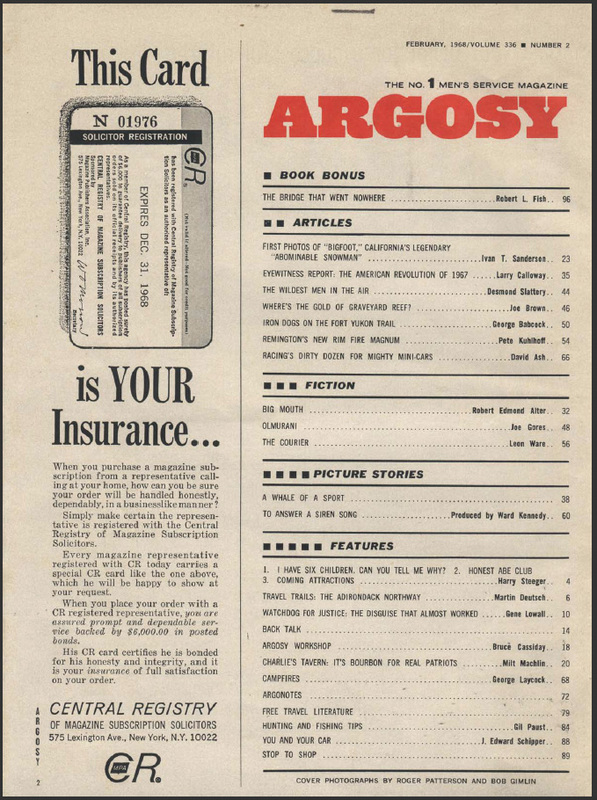 I'm 75; I had a brand new copy of the Argosy that published the story or of Roger & Bob & Patty. In those days, I was like 90% sure that Patty was real. Now I'm more like 99.9%. I am an artist. We see things differently. Patty has a sagittal crest & a short neck. She's covered with hair. It makes many think of her as ape-like. But I don't. The reason she has a sagittal crest is that most of her diet is raw, tough vegetables. Strong jaw required. Why are her feet so flat? If you shaved Patty, she'd look like a tall human being, with proportions noticeably different from our own. And someone would be asking her to try out for their basketball team. 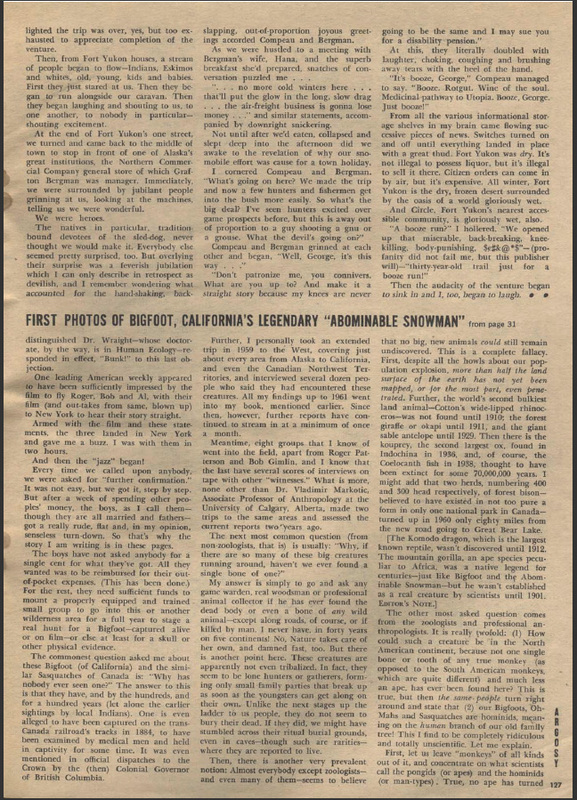 Up to the mid-70's, even into the 80's?, about 30% of people in the US thought Bigfoot was real. 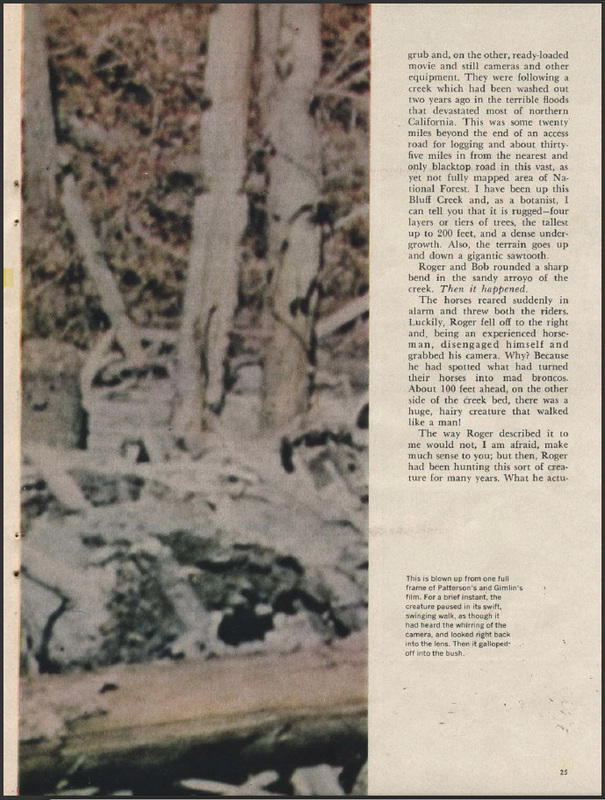 They appeared in a Washington state manual of flora & fauna. * I also read that soldiers newly stationed at Fort Lewis-McChord were advised that Bigfoots were in the area, & if they saw one, just don't shoot it. I think I read that on this forum. 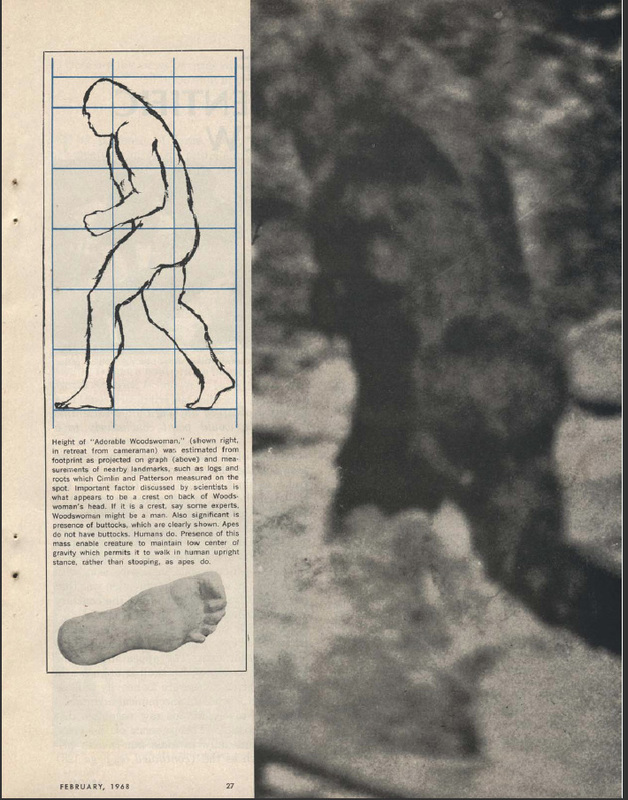 Then the gov't changed its mind & decided that we should not know that bigfoots are real. 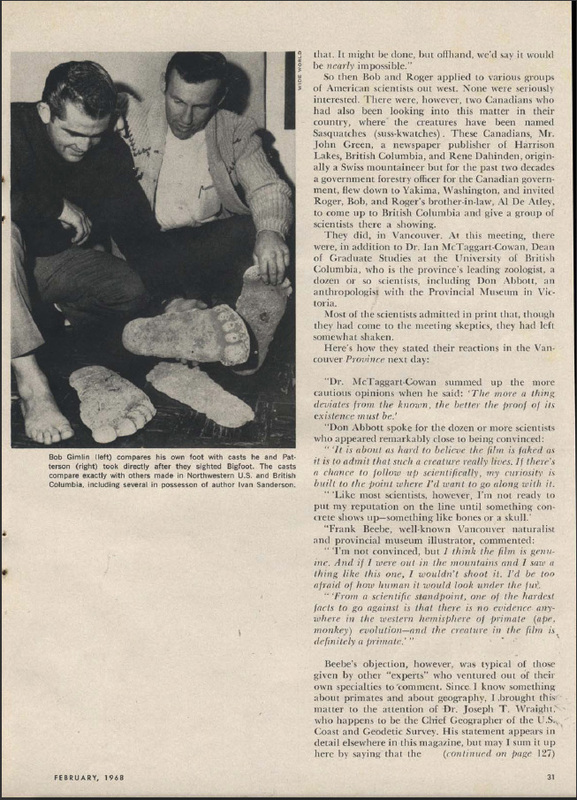 In the last few years, every single time that I saw a bigfoot story on the news, the reporters would ridicule it even as they reported. I think that is why bigfoot belief/acceptance is now about half of what it once was. *That's a collectible too. But not near as sought after as the Argosy. Saw a copy of Argosy editions going for around $5- $8 but that particular issue was going for $225. Thanks much Pat! 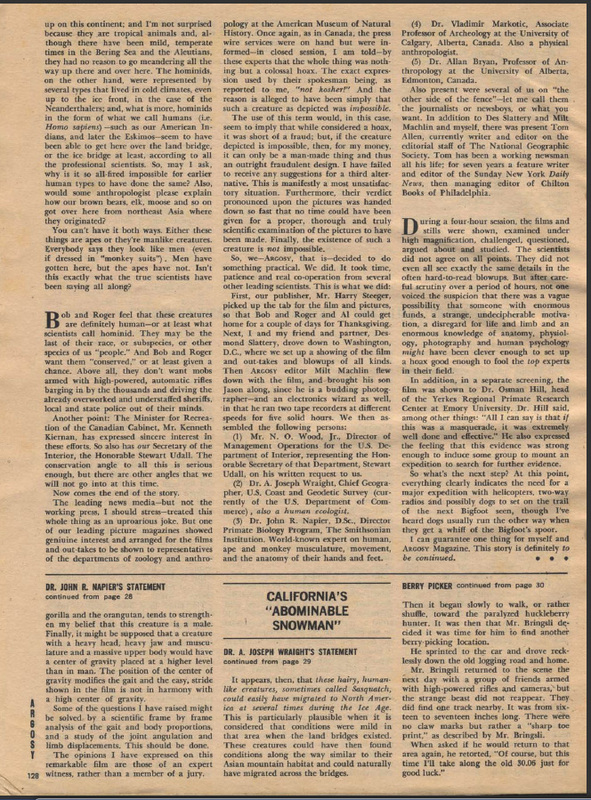 I was a junior in high school when that came out and still have a couple of UFO magazines from the same time period. No clue what happened to the Argosy as I was really more into Bigfoot then. You're welcome Airdale ! I uhhh...wasn't readin' at the time...born in '67 haha ! Thank you very much. I really enjoyed reading that. You're welcome Patterson-Gimlin, I enjoyed it as well. They are all in the PGF section. I couldn't even imagine having an encounter like that, salubrious. I've never read where you had mentioned the shoulder span of your creature before this. It make me think that upon reflection you had a very large specimen indeed. You have always mentioned the sitting height of course but now perhaps standing height could be estimated if you can somehow nail down the shoulder span within a few inches? I was driving a 1976 Chevy Blazer (full size) at the time. The shoulders went just past the window in both directions. I can't say more than that- it was out of my high beams at that point so the lighting was silhouette only. But seated on its rear it was about 6 feet high so I suspected at the time it had to be around 10 feet tall. I was not eager to hang around, if you know what I mean.